Foreign investors coming to Seychelles can set up various types of companies, however, the offshore company remains a preferred option for many of them. The confidentiality and the tax advantages related to setting up an offshore company in Seychelles are the most important benefits associated with this entity. A Seychelles offshore company can have beneficial owners or shareholders, depending on the preference of the investors setting it up, however, when beneficial ownership is the option, a declaration of trust must be drafted. The declaration of trust is a document through which the beneficial ownership of a company in Seychelles is entrusted to a third party for privacy reasons. Below, our company formation consultants in Seychelles explain how a declaration of trust can be used to protect the interests of beneficial owners of a company. As mentioned earlier, a Seychelles offshore company can have shareholders or beneficial owners, also known as nominee shareholders when specialized services are employed. The relation between the real owners or shareholders of the company and the beneficial owners or nominee shareholders is established through a declaration of trust. - the declaration of trust can also be used when appointing a trustee upon the creation of a trust in Seychelles. When used at the creation of a Seychelles trust, the declaration must not be mistaken for the trust deed which is the documents providing for the established of the trust. 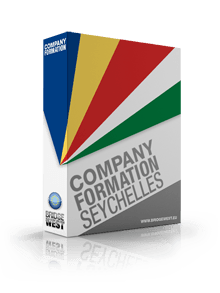 Our Seychelles company formation advisors can offer more information on how a declaration of trust can be used for a local company. How is a declaration of trust issued in Seychelles? information about the specific instructions given to the nominee in relation to the administration of the assets. When drafted for a company in Seychelles, the declaration of trust will also contain information about the value of the assets, the fact that the appointed agent cannot sell, transfer or engage in other transactions with the shares entrusted by their real owner. Other important information to be comprised in a declaration of trust for a company in Seychelles refers to the rights, profits, and dividends resulting from holding the shares or other assets for a specific period of time in favor of the real owner or shareholder. 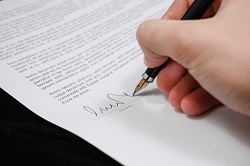 You can rely on our local agents if you need to have a declaration of trust drafted. We can also help you set up an offshore company in Seychelles. Who can be appointed as an agent in the declaration of trust? Those who want to appoint agents through a declaration of trust for a company in Seychelles can appoint a close person or specialized agents in providing nominee services. Most of the times, specialized agents are appointed, as they also know the legislation in Seychelles and can act in the best interest of the real owners of the company. Our company registration advisors in Seychelles also offer nominee services under the declaration of trust. Apart from this, our agents can also act on behalf of foreign investors as nominee directors for offshore companies. - the declaration of trust must be accompanied by a services contract, a transfer of shares agreement and a share certificate. For complete information on the declaration of trust for a company in Seychelles, please contact our local consultants. We can also help with the registration of an offshore company in the insular state.